Have you been to the Southern Women's Show in your state? It really is a great experience and you look forward to it year after year. Well, Markets of Sunshine is taking the idea behind their event and reducing it down to a mini women's show of our own. 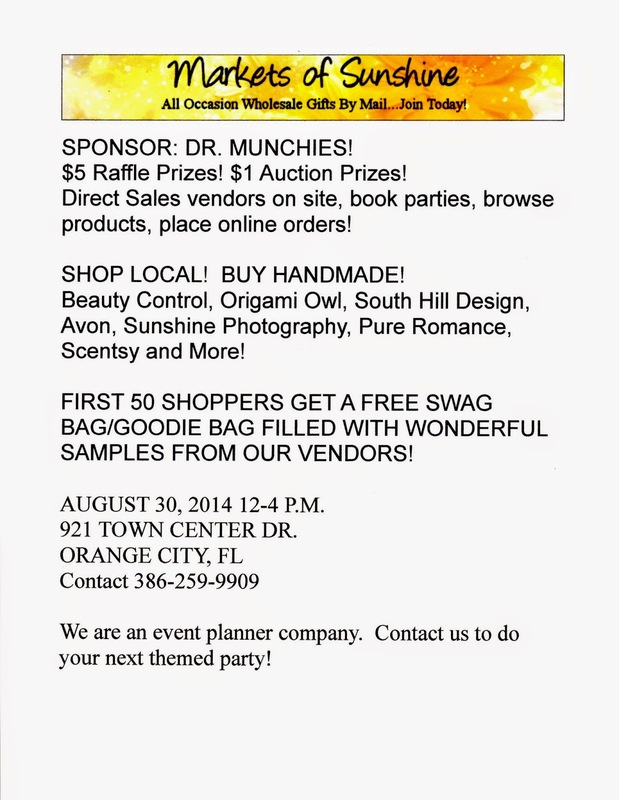 We'll be showering the community with DIY Crafts, Pampering Stations and Learning Centers. We love to educate as well as pamper our guests. You'll learn Lyme Awareness and ways you can prevent getting Lyme disease. You'll also learn how you can support your local foster care group: Community Partnership for Children. Plus, we'll teach you a fun craft that is eco-friendly and useful for the whole family! Sneak Peak in our goodie bag! We would like to offer our 'Thanks' to all the companies that have helped us advertise our event. Now I have something really eco-friendly and awesome that I want to share with you this week! Introducing the one the only: Aqua Farm! Below is our newest member of the family: Beta! Cleo is soon to get his own elite hotel tank and farm. So, stay tuned for an upcoming sequiel to Aqua Farm! Pick up your Aqua Farm at a local pet shop near you! What do you think of this fun way of gardening?